The idea to employ electric motors to drive a vehicle surfaced after the innovation of the electric motor itself. From 1897 to 1900 Electric Vehicles (EVs) became 28% of the total vehicles and were preferred over Internal Combustion Engine (ICE). However, despite the promise of the early electric vehicles and later cheap oil was readily available and the self starter for IC Engines were in vogue, IC Engine proved to be more attractive option for powering the vehicles. Another prime reason for the greater success of IC Engine was its increased specific energy compared to EV. IC Engine vehicle have longer ranges and easy to refuel. 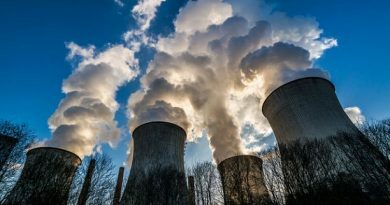 The necessity of now shifting to EVs is well known, considering the finite nature of fossil fuels, the concern about the environment, exhaust-emissions and noise. Being a developing technology, EVs still have many limitations that have to be overcome, which in turn enables them to penetrate into the market. To overcome these limitations, new vehicle technologies need to be developed. 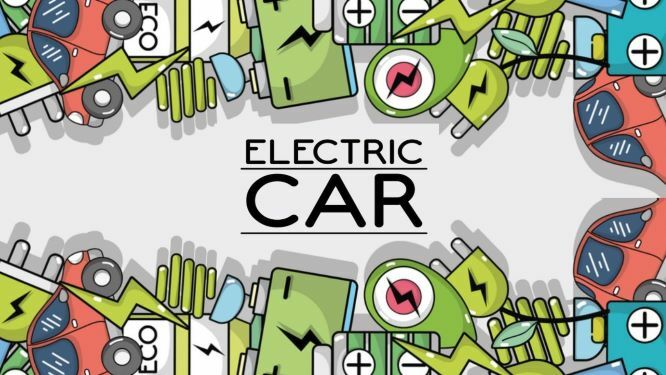 Across the globe, if we see, the EV technology was growing and innovations were happening especially in Electric Propulsion (EP) and Energy Storage Systems(ESS), which are the core technology areas in EV Engineering. If we see the scenario in India, the “National Electric Mobility Mission Plan 2020” projected by Heavy Industries Departments, Govt. 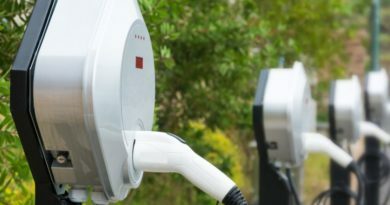 India in 2012, had given the direction towards implementation of EV in India, with an ambitious plan of at least 5 to 7 million vehicles electric by the year 2020 and full electric vehicle by 2030. If we see the present scenario, the total EV now on Indian road is around 1.5 million. We will be able to point out multiple reasons for the shortfall. 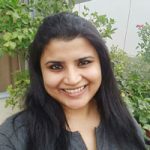 One of the reasons is definitely the lack of focus on EV technologies development in the country and their steady fast implementation so that the EV is economical and appealing to the common man. In the aforesaid document, it is clearly emphasized the need for Research & Development (R&D) in EV technology area. Battery, Electric Motor, Power Electronics, Battery Management System(BMS) and Powertrain System Integration are considered as the area which needs focus. It is also mentioned that the R&D initiative will be taken up as a collaborative effort between Govt-Industry and R&D agencies. Necessary funding scheme was also discussed. Following are the major areas where EV industry focuses across globe to make the EV technology efficient, affordable and convenient. Electric Propulsion system is the heart of the EV and an electric motor sits right in the core of the system. Requirements for a motor used in EV use include high power, high torque, wide speed range, high efficiency, reliability, robustness, reasonable cost and low noise. For low power applications, permanent magnet motors and for high power applications, induction motors are now generally used. But there are other types of motor which will be more competent for a particular power level and may be cost effective. As the number of EVs are going to increase in near future, the lower cost, better efficient motor technologies will survive in the market. So the research community is seriously on the job in identifying and improving different motor technologies. One important point to be highlighted here is, the awareness of the EV industry on the selection of an automotive grade electric motor, which only will result in a reliable electric vehicle. If the motor is not properly chosen, in the long run, the particular industry will end up in calling back batches of vehicles they sold. The quality control measures need to be fully implemented and necessary testing need to be carried out to get a reliable vehicle. Permanent magnet Brushless DC motor (BLDC) made of NdFeB is the most opted motor right now for low power EV like 2W and 3W. It has a permanent magnet rotor and the stator is supplied with alternating current from a DC source through an inverter. Though the torque decreases as speed increases, it is a good choice for small vehicles as the rotor loss is very less and mass is low compared to other motors. But the main concern is the fluctuating cost of Neodymium and Dysprosium (added to increase the high-temperature coercivity of the magnets above 100 °C) as well as its dependence on import. Approximately 40% is the PM material cost in a motor and China is the major source for NdFeB magnets. China decreased rare-earth material production by 40% in the year 2010. In this context, right from 2010 onwards countries like US are seriously focussing their research to make non-rare earth magnet motors and permanent magnet free motors. They had succeeded in these efforts and now motors having almost same energy capacity as that of rare earth counterpart are developed. Companies like Tesla, Toyota and GM already started using induction motors, but it can not be operated directly from utility power, needs an inverter. Its speed control is difficult and starting torque is less. Still because of its simple construction, for high power EV application, it will be the choice for some more time. In India, the three EV models, Mahindra e2O, Tata Tigor and Mahindra e-Verito use induction motors. As competition picks up in EV domain, the technologies essentially grow to give better efficiency at low cost. There are different motor technologies which are now researched and are expected to be used in EV. Some of these technologies are already there and need only to optimize the parameters. There are few new configurations evolved basically derived from the existing one with performance optimization. Given below the comparison of energy density of Permanent Magnets (PMs), which directly decide the size of the motor. Obviously, the lowest energy product is ferrite. Its demagnetization characteristic is linear and will resist the demagnetization under load condition. The task taken up by the researchers is optimization of motor design, improvement of the material properties etc so that the specific power similar to that of rare earth magnet motors are achieved. Novel motor designs need to be developed and optimized using high performance computing techniques. Findings from fundamental magnetic materials research are to be incorporated into new modeling tools to improve accuracy, and this has been greatly facilitated with parallelized computing. 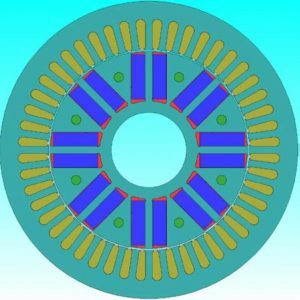 To improve motor modeling accuracy and complement new materials and processing developments, fundamental research need to be conducted to study the phenomena behind magnetization and loss characteristics of soft magnetic materials in electric motors, details that are still not fully quantified or understood in the scientific community. For example, residual stresses or induced stresses incurred during manufacturing or motor operation have a considerable impact upon losses and permeability. Additionally, temperature, pulse width modulation excitation, and other factors impact the magnetic properties in a way that is not considered or modeled with conventional finite element analysis (FEA) tools. These studies supported the development of high fidelity models and modeling tools, which are particularly important as high-performance computing is used in the optimization of detailed geometric features to achieve high power density, specific power, efficiency, and cost-effectiveness. Spoke-type ferrite Interior Permanent Magnets (IPMs) have received attention in recent years due to the push for reduced RE content in PMs. The spoke topology refers to a method of arranging the magnets on the rotor, so the flux is produced and concentrated in the tangential direction before crossing the air gap to the stator. This topology allows a great increase in the magnet mass on the rotor and, because of this, is promising for ferrite-based machines intended to replace those using NdFeB magnets. However, most ferrite-based spoke IPMs explored in the literature use expensive techniques to reduce leakage flux (e.g., keyed beryllium hubs), result in limited speed ratings (less than 8,000 rpm, free rotor pole pieces with axial support posts), use more expensive high strength steel, or have not been optimized over a wide variety of parameters. Optimizing a spoke-type machine to achieve an understanding of the achievable power density of ferrite-based IPMs is being researched. It is capable of being operated at a range of speed without the need of any gear system and capable of delivering high torque at all speed ranges and now used in at least 26 vehicles. Nissan Leaf and Toyoto Prius are examples. Electric machine with reconfigurable winding, also known as switchable winding, is any drive system which is able to change, by means of electronic switches between two or more impedance modes as viewed at motor terminal. Most of the reconfigurable winding was developed for induction machine or surface mounted permanent magnet machines. This scheme can replace mechanical gear box. 2.1.6 Permanent Magnet (PM) assisted Synchronous Reluctance motor. Greater power factor can be achieved from Syn RM by integrating some PM in the rotor creating a PM assisted Synchronous Reluctance Motor. Addition of PM in the right amount to the core of the rotor, increases the efficiency. With proper efficiency optimization technique, this motor can have performance similar to that of permanent magnet machine, same time free from demagnetizing problem observed in Permanent magnet machine. In BMW i3 EV it was used. SRMs are doubly salient (because of having salient poles both in stator and rotor) and are synchronous motors driven by unipolar inverter-generated current. They demonstrate simple and robust mechanical construction, low cost, high speed, less chance of hazards, inherent long constant power range and high power density. But on the downside, they are very noisy because of variable torque nature, low efficiency and larger size compared to PM motors. Advanced design techniques are used to resolve the above issues. Because of high cost of permanent magnets, the interest in SRM is growing now. Batteries have been the major energy source for EV, different battery technologies have been invented and adopted. This process is still going on to attain the desired performance goal. Following are some of the desired performance parameter set by U.S. Advanced Battery Consortium (USABC) as a long term goal. Known and prevailing battery technology for EV is Lead acid, Nickel Metal Hydroxide and Lithium ion. Limitation of Lead acid and Nickel Metal hydroxide batteries are, Low specific energy and limited life cycles. Of which the advances made in last few years is Lithium ion batteries. Lithium ion batteries are the most popular one now and is definitely going to stay. The improvements in its specific energy from 150Wh/kg to 200Wh/kg is the research activity happening. There are about 6 technologies in Lithium Ion Battery (LIB) and out of that preferred one for EV is Lithium Nickel Manganese Cobalt Oxide (NMC) and Lithium Nickel Cobalt Aluminium Oxide (NCA). Two new types of Li Ion battery now coming up are Lithium–Sulphur batteries promise the higher performance-to-weight ratio and aqueous Lithium-ion batteries which have fewer potential safety hazards due to their use of non-flammable electrolytes. Presently specific energy of Li-ion battery is 100-200Wh/kg. Improving the energy density will reduce the material requirement and hence the cost. Present cost is around $200 per kWh and it aim to reduce it to $ 100 per kWh in future. But there is a limit up to which the energy density can be increased. In this scenario, an alternate energy storage system is thought of. Metal air battery is one promising candidate. Lithium-air battery provides an exciting new frontier because this battery promises to store far more energy than is possible with current lithium-ion technologies. Scientists borrow the idea from zinc-air and the fuel cell in making the battery “breathe” air. The battery uses a catalytic air cathode that supplies oxygen, an electrolyte and a lithium anode. The theoretical specific energy of lithium-air is 13000Wh/kg. If these energies could indeed be delivered, it would be on par with gasoline. But even if the end product were only one quarter of the theoretical energy density, the electric motor with its better than 90 percent efficiency would make up for its lower capacity against the ICE with a thermal efficiency of only 25–30 percent. Li-air was proposed in the 1970s and gained renewed interest in the late 2000s, because of advancements in material science and the endeavour to find a better battery for the electric power train. Depending on the materials used, lithium-air produces voltages of between 1.7 and 3.2V/cell. IBM, MIT, University of California and other research centres are developing the technology. As with other air-breathing batteries, the specific power may be low, especially at cold temperatures. Air purity is also said to be a challenge as the air we breathe in our cities is not clean enough for lithium-air and would need to be filtered. For all we know, the battery may end up with compressors, pumps and filters resembling a fuel cell, consuming 30 percent of its produced energy for auxiliary support to stay alive. Another problem is the sudden death syndrome. Lithium and oxygen form lithium peroxide films that produce a barrier, which prevents electron movement and results in an abrupt reduction in the battery’s storage capacity. Scientists are experimenting with additives to prevent the film formation. The cycle life will also need to improve; lab tests currently produce only 50 cycles. As pure aluminium is unstable when used as an anode for Al-air batteries, the most common method to prolonging the battery operation time and decreasing the corrosion rate is through the use of Al alloys. A considerable number of alloying elements such as Ga, In, Sn, Zn, Bi, Mn and Mg have been adopted. 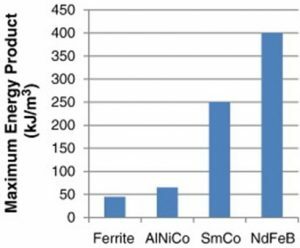 The outstanding performance of Al alloys in Al-air batteries can be attributed to the comprehensive effect of each individual alloying component. 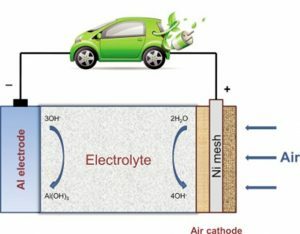 The air cathode is one of the essential components of an Al-air battery, which is generally composed of a gas diffusion layer, current collector, and catalytic active layer. The gas diffusion layer is composed of a carbon material and a hydrophobic binder such as polytetrafluoroethylene (PTFE), making the diffusion layer permeable only to air and preventing the permeation of water . Current collectors are typically made of a Ni metal mesh which can be connected to the external circuit and enhance the electron transfer processes. Research team has achieved energy density up to 1000 Wh/kg. These battery chemistries are facing a series of problems such as the corrosion of Al metals, high self discharge rate, sluggish discharge kinetics, lack of rechargeability and short shelf life . Therefore, the critical research should be directed towards overcoming the large amount of scientific and technical challenges for metal-air batteries before these promising energy storage devices are put into effect. Spain had achieved good progress in aluminium-air battery. 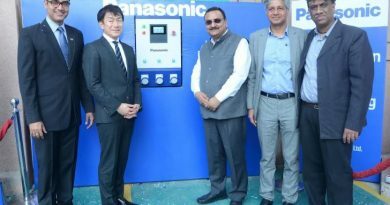 This battery is now treated as the future battery technology for India, as this technology does not depend on special materials and have substantial range and will cost less. 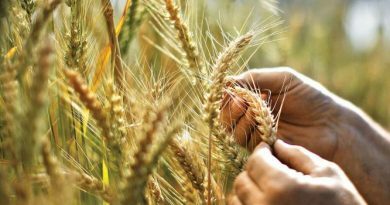 An industry- academia research eco system focusing on a product oriented indigenous development programme in a big way is the need of the hour to commercialise this technology in India. 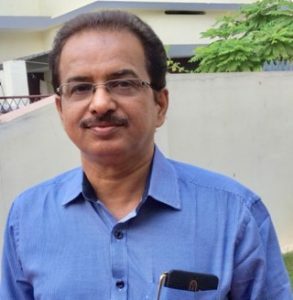 Central Government cabinet decision on March 07,2019 for the creation of Phased Manufacturing Programme (PMP) by “ National Mission on Transformative Mobility and Battery Storage” will be really a morale booster for those who are interested in developing Aluminium-air battery in the country. Ultracapacitors (UCs) have two electrodes separated by an ion-enriched liquid dielectric. When a potential is applied, the positive electrode attracts the negative ions and negative electrode gathers the positive ones The charge gets physically stored on electrodes this way and provides a considerable power density. EVs go through start/stop conditions quite a lot, especially in urban driving situation, as well as conditions like hill climb, normally demand large current from battery. Peak power for high performance electric vehicle may go upto 16 times. UC fit in perfectly for such application. A combination of battery-UC system negates each other short comings and provides an efficient and reliable energy system. Wireless charging or Wireless Power Transfer (WPT) does not require the plugs and cables required in wired charging system. Research by industries and universities brought it to the level of induction in EV. There are about 6 technologies were attempted across globe. They are a) Inductive Power Transfer(IPT), Capacitive Power Transfer (CPT), Permanent Magnet coupling Power Transfer(PMPT),Resonant Inductive Power Transfer(RIPT), On-Line Inductive Power Transfer(OLPT) and Resonant antennae Power Transfer(RAPT). RIPT and OLPT appears to be more promising, but their infrastructure did not allow them to be a viable solution. Frequencies for these technologies range from 10kHz to 500kHz. Presently in some country it is used as delta chargers of smaller capacity. Inverter technologies that incorporate advanced wide bandgap (WBG) semiconductor devices to achieve higher efficiency while accommodating higher-temperature environments and delivering higher reliability. SiC MOSFET can significantly reduce inverter switching losses and has the potential to replace the Si IGBT for improved drive system efficiency and reliability with reduction in power inverter weight and size. The EV subsystems viz. Electric Propulsion and Energy Storage Systems are in the cross roads now, as these systems play a very vital role in making the EV popular and adoption by public. To make it more user friendly, especially during long journey and tough roads, clear focus on the improvement in EV technology is really required. Dedicated teams are working in abroad and whenever possible, the developed technologies are being commercialised. Not much focus is given in India, for development of new EV technologies. Limitation in sourcing special materials such as lithium, rare earth materials etc are known, and the focus on development of new technologies which minimise the use of special materials is the need of the hour. Another important area where the focus required is on the quality and reliability of the components now procured from China for integration of EV. Good amount of quality check is needed on component level and how far it is possible on Chinese make component is a perplexing question. This point also emphasises the need for developing indigenous components for EV industry. Across globe commercialisation of high efficient electric drives and metal air batteries are focussed now. It will enable EV technology to compete with IC engines. Improved ultracapacitors and safe wireless charging stations are expected to be in market in another 4 to 5 years time frame. Fuel cell technology is matured, and some countries are focussing on the commercialisation and induction in EV. New ways of recovering power from vehicle may appear. Good year have demonstrated a tire that can harvest energy from the heat generated there using thermo-piezoelectric material. There are also chances of solar-powered vehicles, being commercialised.